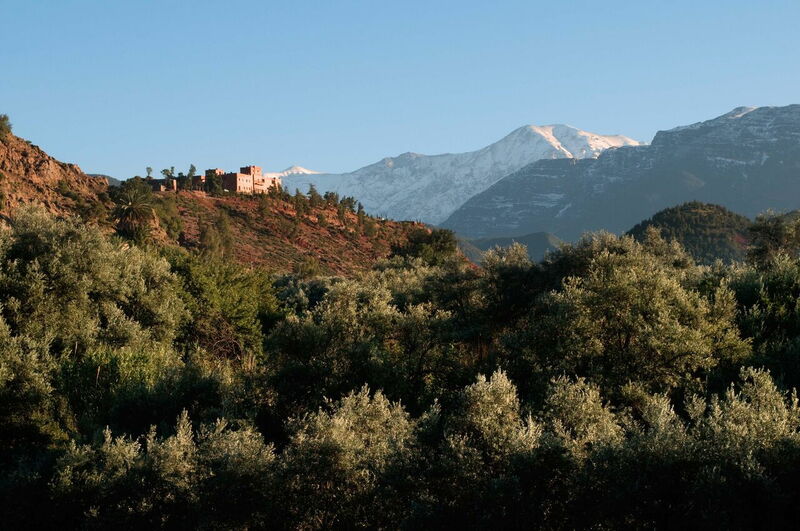 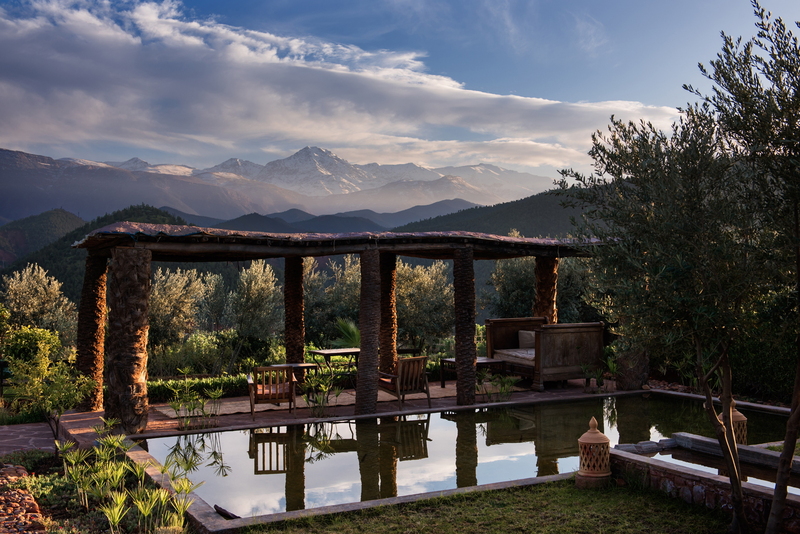 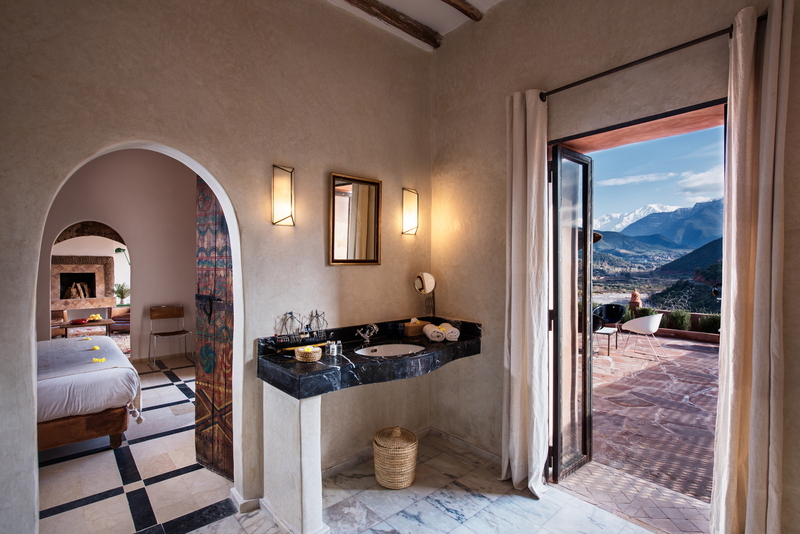 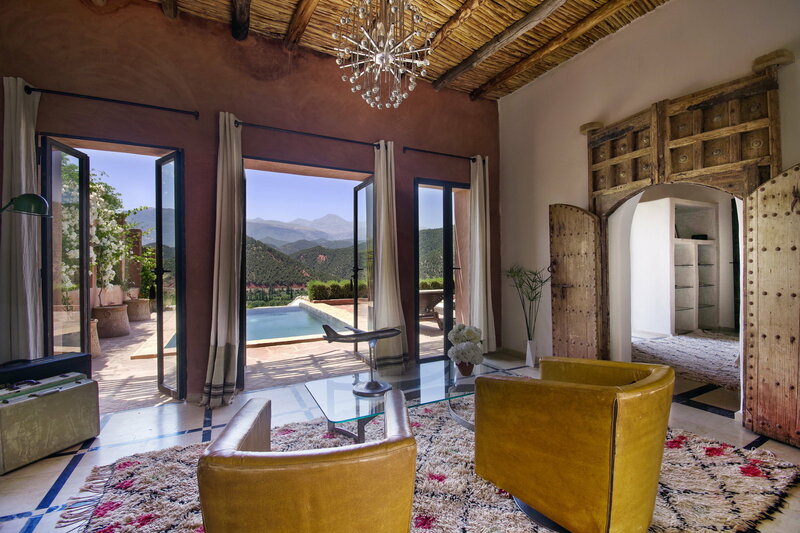 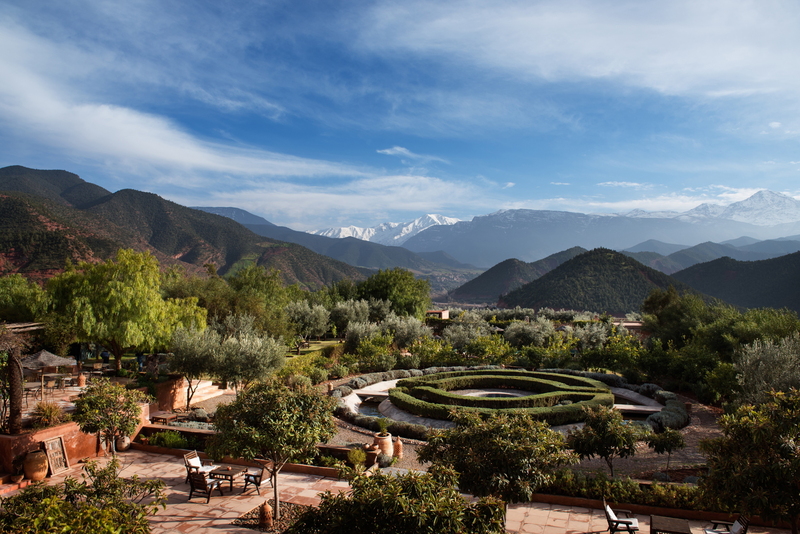 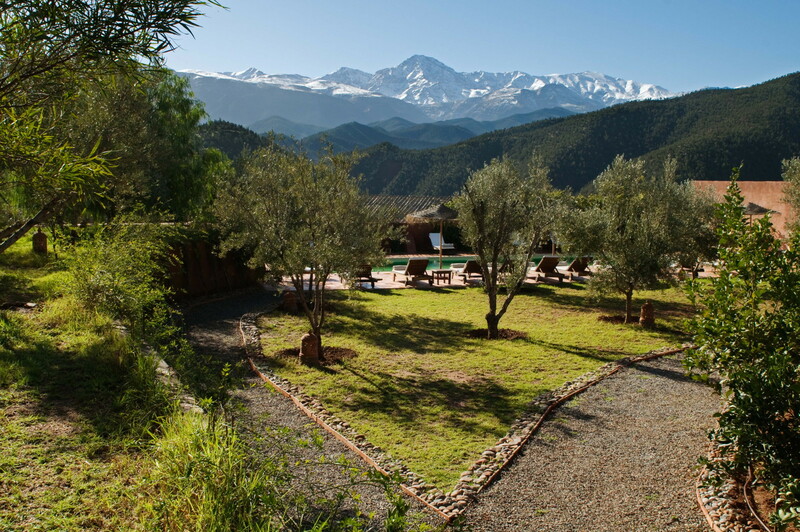 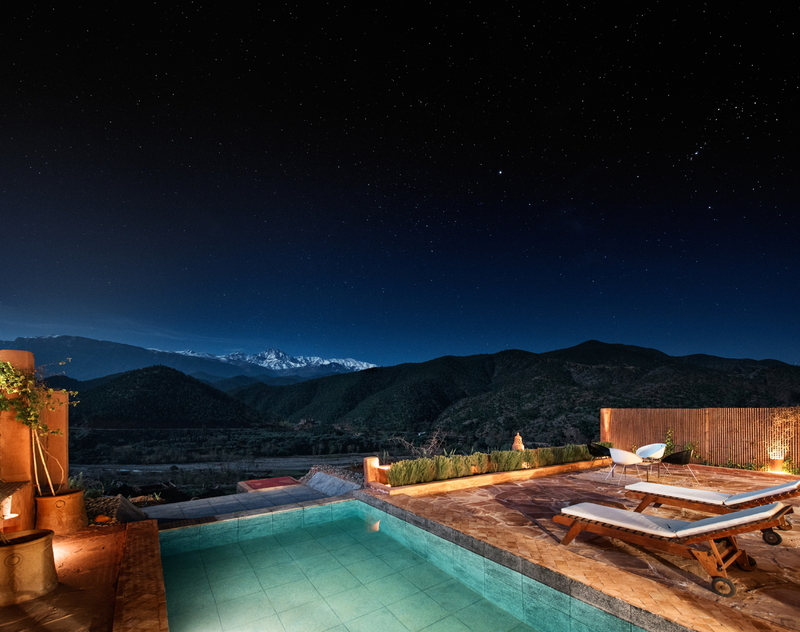 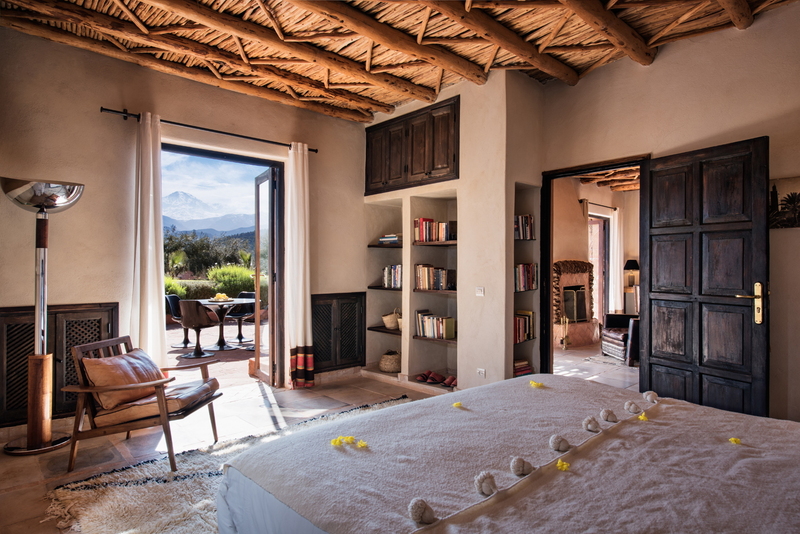 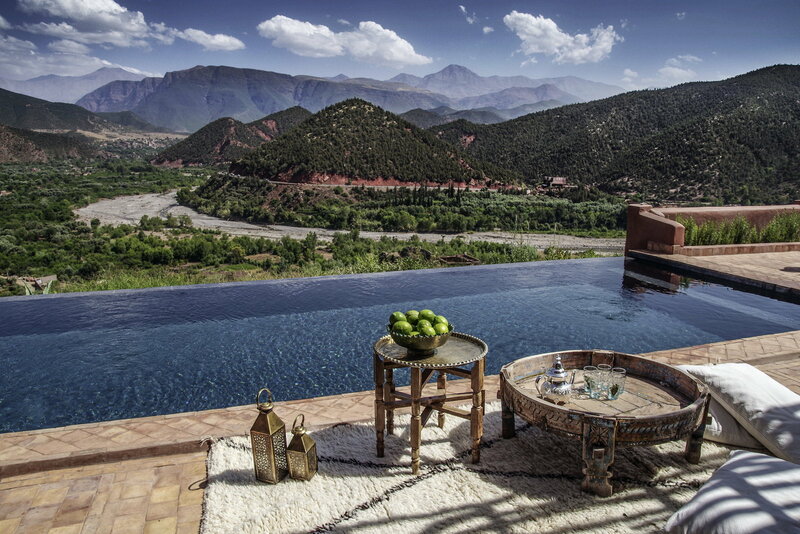 The Kasbah Vista stands on an exceptionally beautiful landscape in the Atlas Mountains, only 35 minutes from Marrakech’s International Airport. 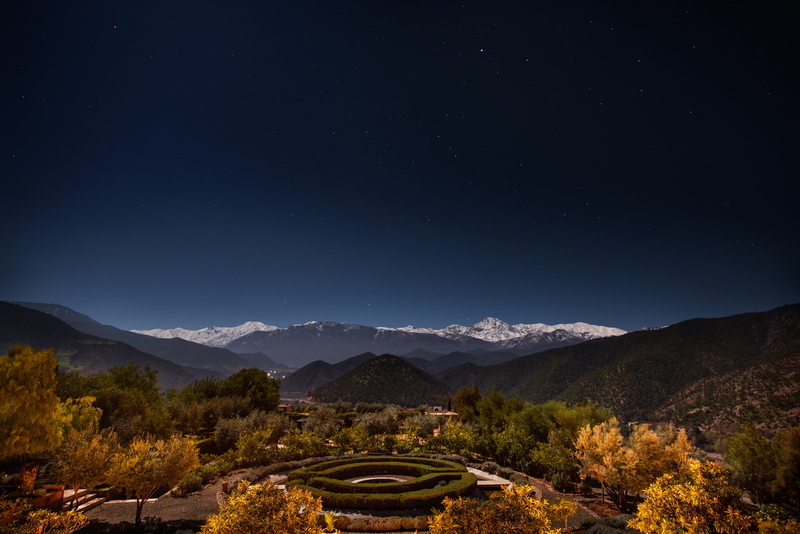 On its hilltop, at the apex of the Ourika valley, it looks down to the river, green fields and groves of olives, oranges and lemons, and up to the dazzling snowy mountain peaks. 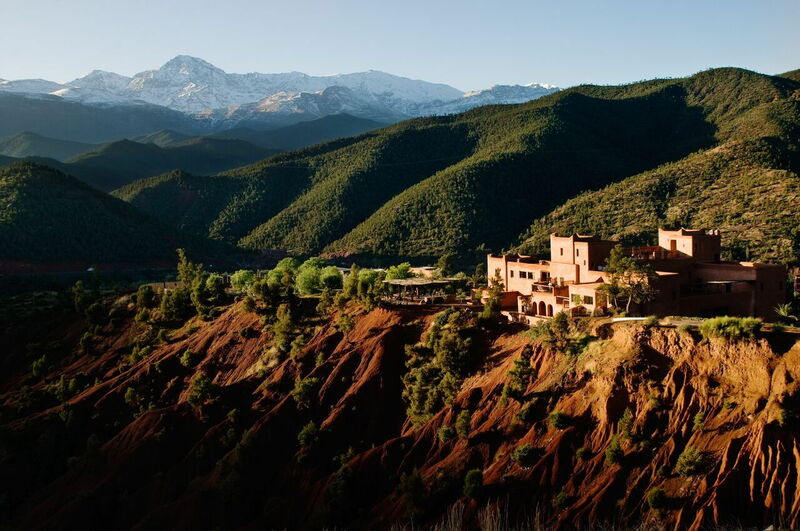 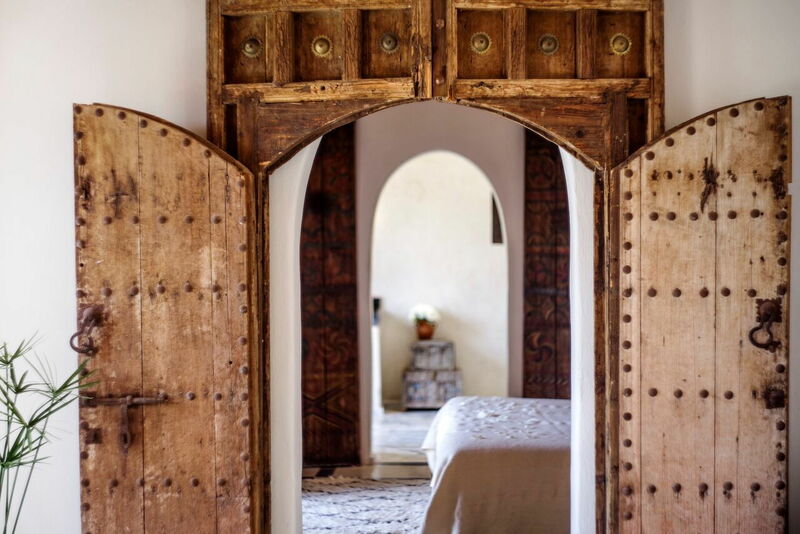 The Kasbah is one of the most eco-friendly buildings in Morocco. 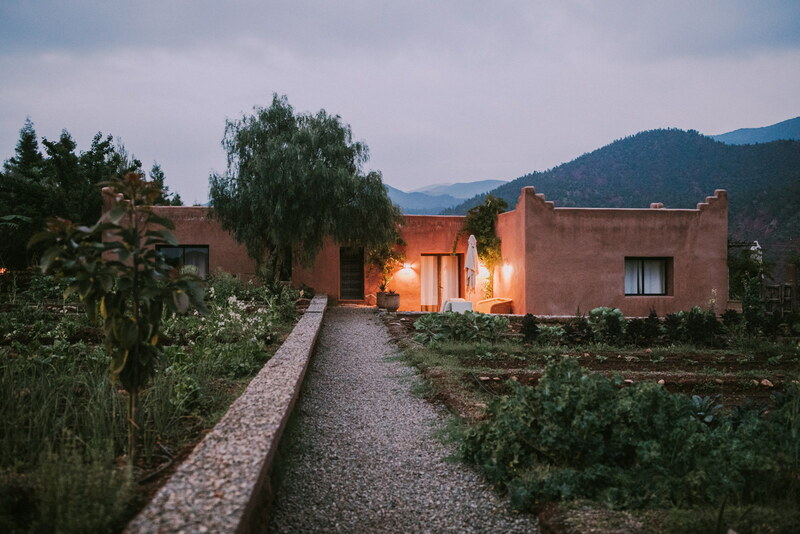 Constructed principally from Pise, rammed earth, the traditional Berber building technique, it blends easily with rock and earth around it. 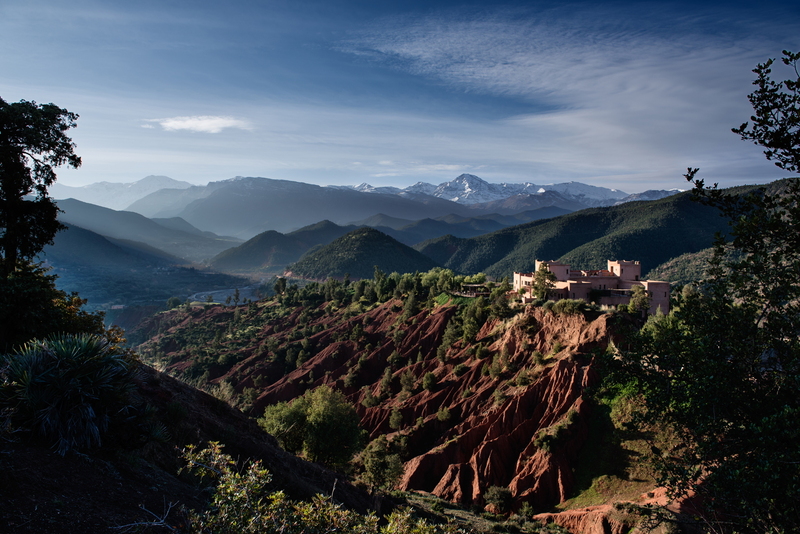 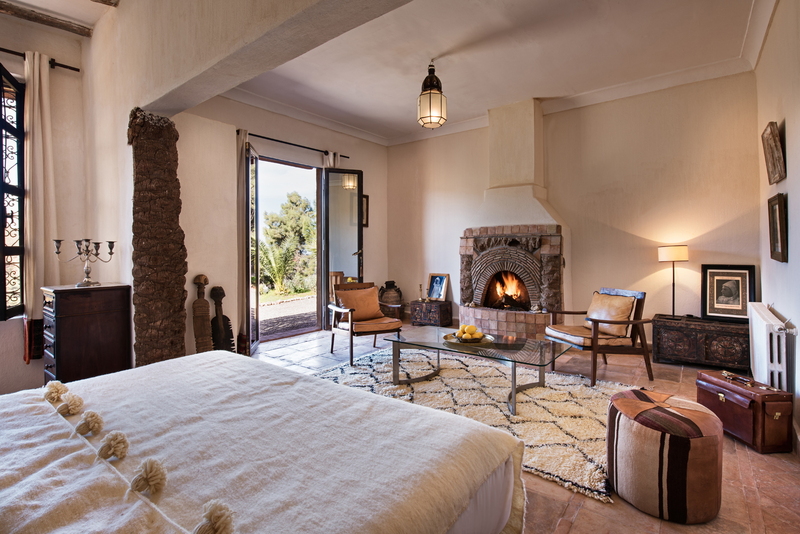 With 360 degree panoramic views, Kasbah receives warm sunlight all day, ending in spectacular sunsets. 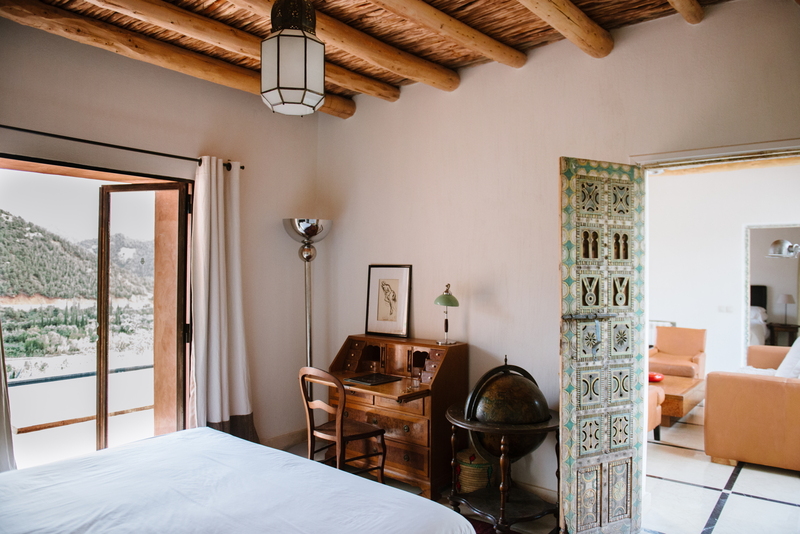 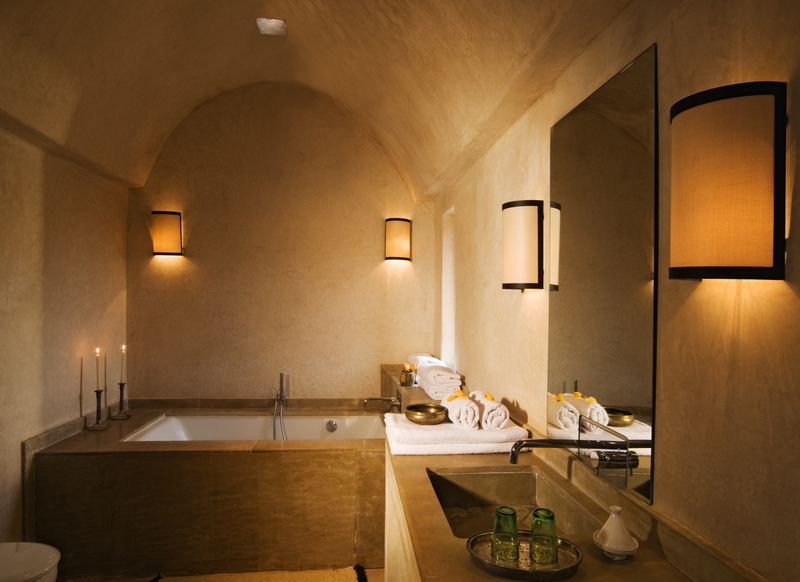 All the rooms are beautiful and individually designed with an emphasis on local materials and colors. 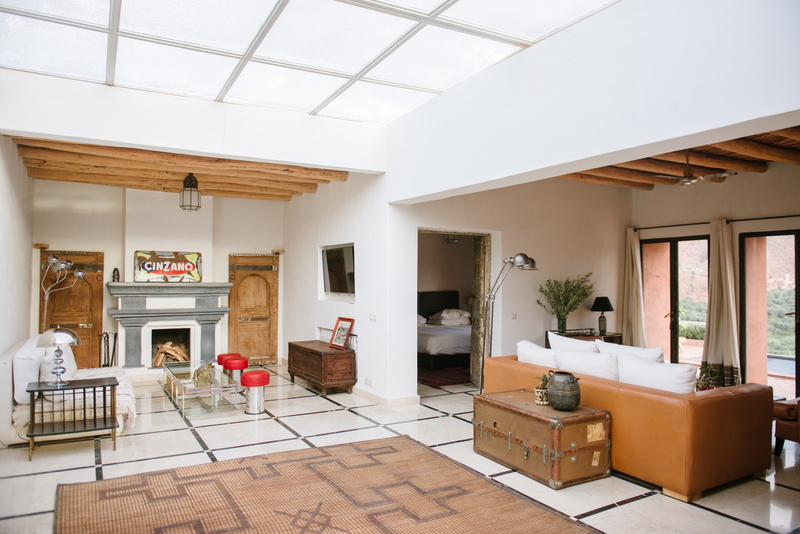 Staying here you are transported to another world and culture.